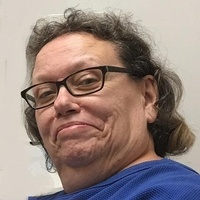 JoAnn Mary (Tick) Vanard, 58, of McKeesport, died Friday, April 6, 2018. She was born February 11, 1960 in Pittsburgh and was the daughter of the late Robert G. and Geraldine A. (Kurka) Tick. She is survived by her sons, Eric L. Vanard and Sean R. Vanard of McKeesport, sister, Jennifer (Wayne) Sanders of Moon Township, brother, Robert C. (Diana) Tick of Forest Hills, and nephews, Ryan and Jordan Tick and Wayne and Nicholas Sanders. There is no visitation. "Jean Pringle Rogers" || "Mary E. Zaradzki"